← Why are the Broncos Winning with Tebow? This defensive youth football drill is a great movement and footwork drill for your young defensive backs. It also teaches them to stay low because they must scoop the ball. I hope you enjoy the football drill. 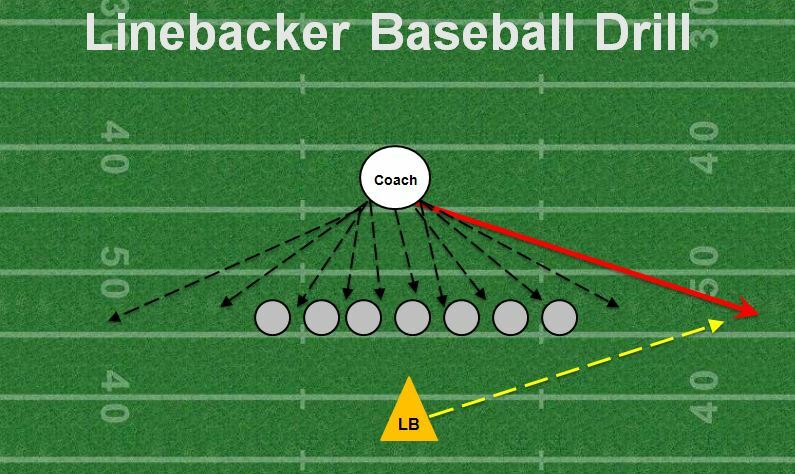 I introduced the drill to a few of my linebackers last week and they loved it. We started grading them on a 1 to 3 scale on 5 reps and whoever had highest score won the game. They loved it.